Technology has helped financial institutions work harder and faster than ever before. The downside: Sensitive data is more vulnerable than ever before. 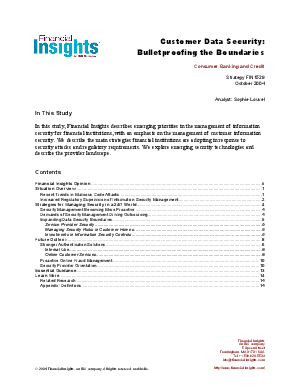 Financial Insights offers ideas and solutions to improve Information Security (IS). Click below to learn more on protecting your most important assets, your data.